It seems like you pull out all the stops and somehow she still says “Goodnight” and closes the door in your face when all you want to hear is, “Would you like to come in for a drink?” Unfortunately, getting lucky on the first date isn’t easy. Neither is converting your site visitors into customers on the first visit. Here are 6 tips to convert your customers on the first visit and get invited inside on the first date. A good meta description is like a good pick up line. Sometimes they just can’t be ignored. Get her attention and pull her in with a line that’s both informative and funny. Sometimes, being a little bit mysterious can also be a good tactic. Make her want to find out more about you. For those SEO beginners out there, a meta description is the short blurb that describes your page in the SERPs. This is where the user decides whether or not to click on your link and enter your site. Therefore, it’s important to really grab the user’s attention here and bring them into your site. Your meta description is your first chance to show the viewer what you have to offer. The initial step to converting visitors is to make them a visitor in the first place! Once they are on your site (or in your sight!) we can work on the next steps to converting. Come on guys, don’t be too hard to get. If you want to get lucky on the first date, you have to make it relatively simple for us ladies to read you. A little mystery is okay here and there, but if you want to get right down to business, make sure you let us know what you have to offer. Similarly, if you want to convert your site visitors to customers on the first visit, you need to make your site easy to navigate with a simple design. Have a simply designed homepage with a navigation bar containing your most important pages and a nice footer and you are set with a solid site framework. The most important part of site design is usability. This is why simple designs are so popular right now. Even Google Analytics is designed on this premise. Don’t go overboard, people. Please, gentlemen, say something interesting on our first date! Start conversations about our common interests to keep us ladies interested! If we have great conversation, chances are we will be eager to continue the conversation at the end of the evening. We all know that content should be central to any inbound marketing campaign. But don’t just post a bunch of crappy content just to rank for a bunch of keywords. For content marketing, it’s quality over quantity. Time and time again, it has been proven that a really great article can have much more bearing on a marketing strategy than 10 thin pieces of content. If you can hook your readers with great content, they will be more likely to continue perusing your site (partially contingent on #2, usability) and will be much more likely to convert. Don’t think you will get anywhere on a first date without giving something. Guys, take a lesson in chivalry (No, it’s not dead). Pay for dinner on our first date. It’s a pretty simple and straightforward rule that will definitely help with your ultimate goal. No, we do not want to split the bill. We want to be treated like the classy ladies that we are and we want to be doted upon. The lesson here is to give something before expecting to receive. Your visitors are much more likely to convert on the first visit if you offer something of perceived value. It doesn’t even have to be monetary value! For example, an extremely helpful and well-written article can be valuable to some readers. If you have some wiggle room in the budget, consider offering something of monetary value to get visitors to convert. Victoria’s Secret is notorious for this. I can’t tell you how many e-mails I’ve gotten over the years for a “Free Tote” for a $50 purchase. Even a free shipping offer can be effective. Make sure your pitch is top notch. We ladies have been trained to keep men waiting until at least the 3rd date. Some women can be swayed with a simple “You are so beautiful…” but most of the time it’s not that easy. Be genuine. Tell us how great of a time you had and that you don’t want the night to end. Don’t give us the chance to walk away too quickly. Your call to action can make or break your conversion rate. It must be noticeable to any visitor. Make sure it matches the rest of your site design. It doesn’t hurt to add a little humor in the right places, too! If you want your readers to sign up for a newsletter, add a quirky line about how awesome your newsletters are! Being human makes readers think that reading your newsletters could be a good use of their time. Overall, it is important to remember that a good quality CTA can be extremely helpful for a high conversion rate. Lastly, make it easy for us to give in! No, we don’t want to drive 30 minutes to your place after our date. Walk us home. Continue all the way to our door. Don’t just let your date get out of the car by herself! Extra points for opening our doors, by the way. If you did everything else right on our first date, it is a lot harder for us to say no when you are standing outside of our door at the end of the night. Overall, don’t make us chase you because I guarantee you will not be getting a happy ending to your night. Keep the flow, here. Make it easy for site visitors to turn into conversions or customers. Here are some tips: don’t include too many required fields for a form submission. If you want your readers to buy something, make your product pages simple to navigate with a bold “buy” button. Visitors should not have to search for the place to complete their purchase. This is your chance to seal the deal. Lastly, once you get lucky on the first date, you have to keep your ladies coming back for more! What’s the use of getting to home base once if you can’t keep hitting homers? Make sure your new leading lady has an easy way to contact you. Don’t disappear! Send a follow up text the next day letting her know that you are thinking about her. If you play your cards right, she will be hooked and will come back time and time again. Similarly, after your visitor has converted, don’t let them slip through the cracks. Send an email asking how their experience was with your product or service. Ask for a review. Again, make it easy. Send along a product review form. Also, provide an easy way for your new customer to contact you or your customer service line if something were to go wrong. If it’s in the budget, retargeting can work wonders to bring your customers back for more. This step is a great place to get creative too! 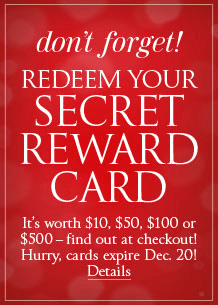 Hate to use Victoria’s Secret as an example again but it does fit the subject… Victoria’s Secret hands out secret rewards cards around the holiday’s when you complete a purchase that basically forces you to come back for another purchase. Use psychology to your advantage if you can! If you follow these steps, I guarantee your conversion rate will increase. It’s simple: more conversions = more money. Beat out your competition with a perfect site design, content and offers. Do you need help increasing your site’s conversion rate? Optimum7 can help. Contact us today.